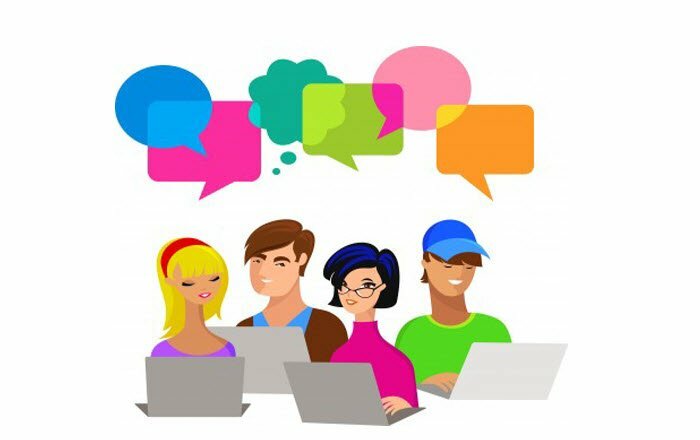 In eLearning courses, embedding audio enhances learner engagement and also helps them acquire information more effectively. To make your eLearning course effective, it’s important to use audio judiciously; this goes a long way in delivering a rich learning experience. Most of us often forget that we need to consider a few factors before adding audio to a course to enhance learning. What are these factors? Let us see. The first and the foremost thing which comes to mind is the nature of the subject. For example, if we are explaining a simple diagram, then we don’t really need to have audio but for complex subjects, you need audio to help learners comprehend the subject better. Now, what are those difficult subjects, what are those easy subjects? I don’t think there is a readymade list. It again depends on various factors. 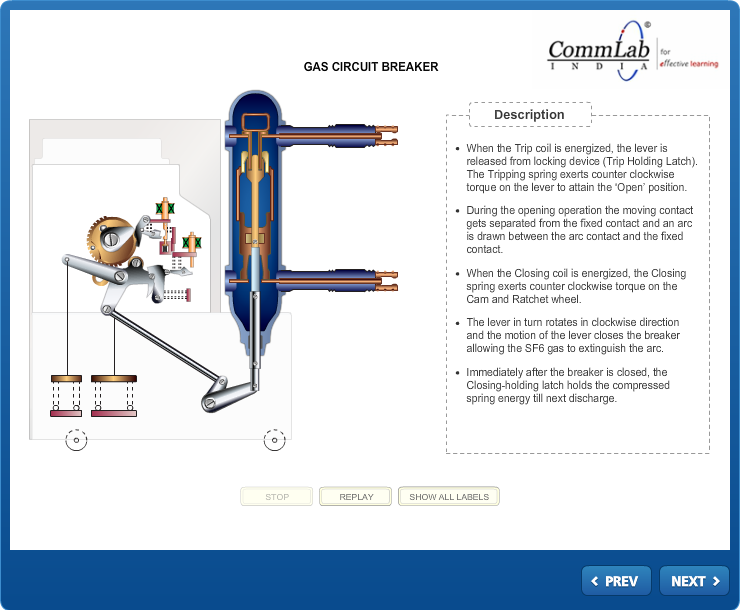 For example, in the screenshot shown below that describes the Gas Circuit Breaker, we have an animated diagram and bullet points appear onscreen in sync with the animation. It’s a simple diagram and we don’t need to have audio. The other factor is course duration. I think the longer the course, the minimal your audio should be. 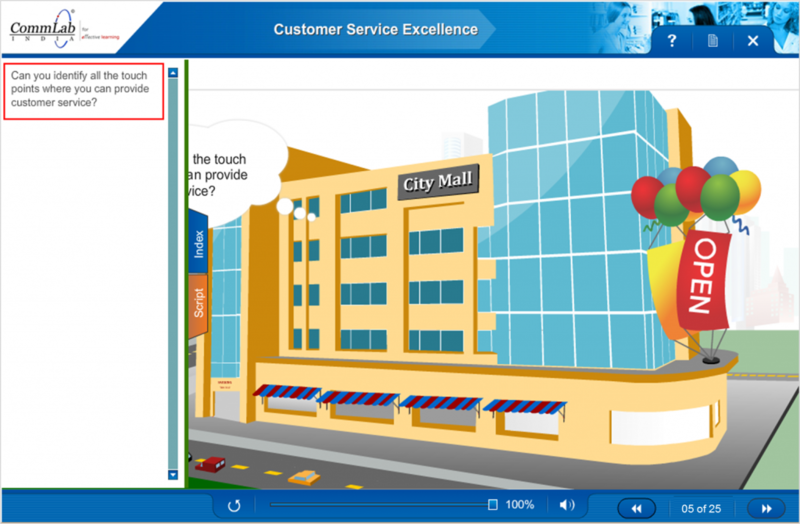 You should add audio taking the cognitive capabilities of your learners into consideration. For a lengthy course, having audio in every slide can test their patience. 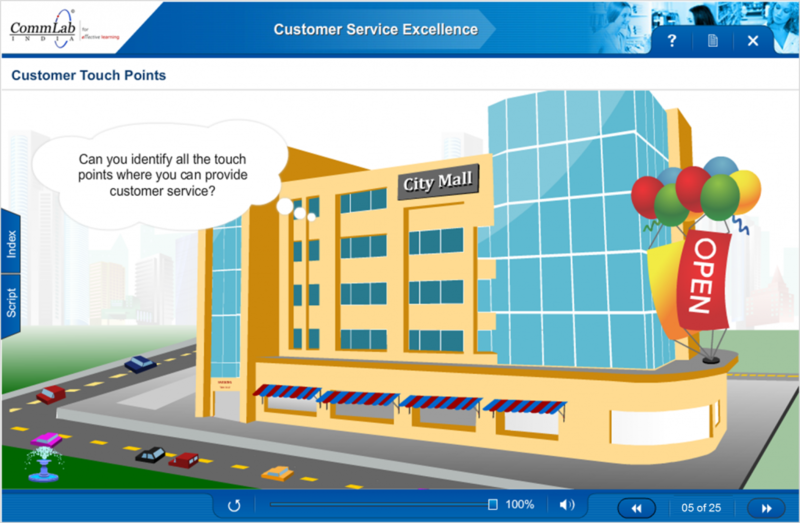 Let us look at an example of a course on customer service excellence; it is about 40 mins, and has minimal audio. 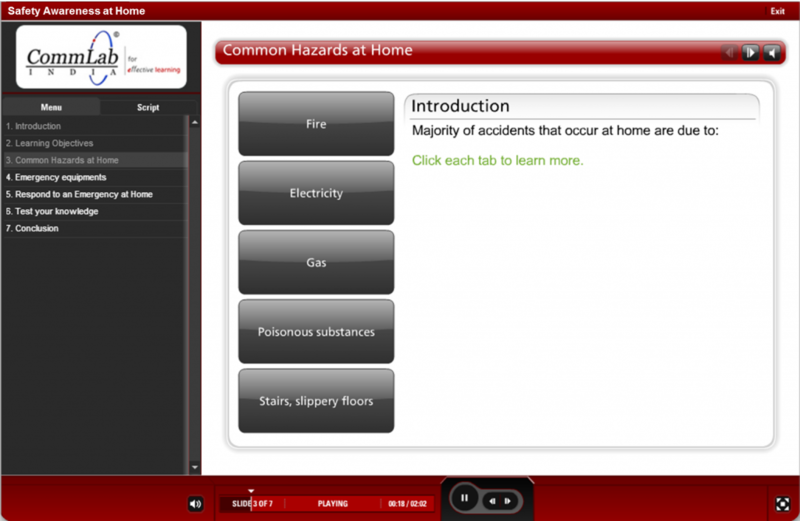 Another example is a course on safety awareness at home which is 10 mins, with extensive audio. The amount of audio will also depend on the elements in the slide. Do you just have a static image and content or an interactive slide where you’ve already engaged the learner to do something? Do you really need audio there? 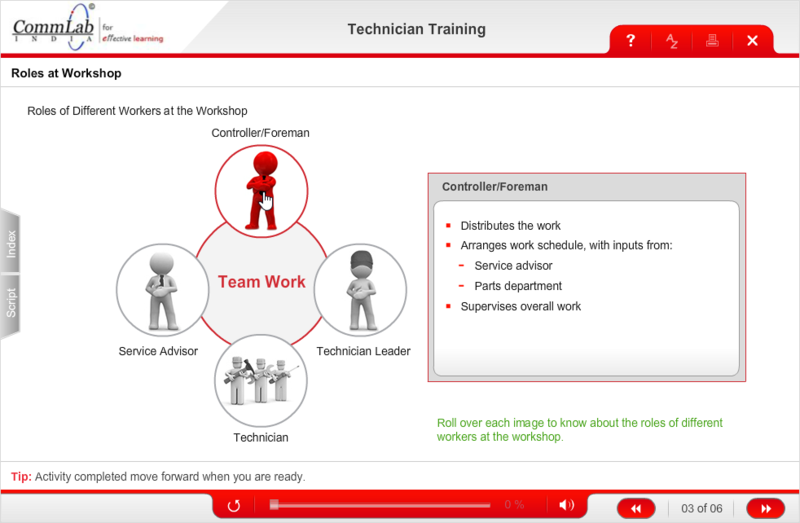 Let us look at an example where for an interactive slide with rollovers, we added audio only for the introduction. 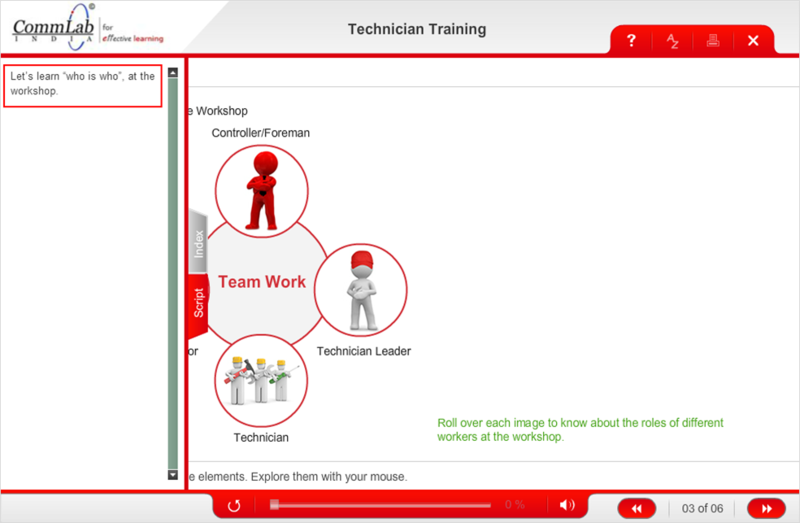 When a learner rollovers an image, content appears onscreen, without audio. We also need to consider the learning environment or system configuration where the learner is accessing the course. There are some situations where we have been told that learners don’t have sound cards in their computers or they cannot use headphones due to their IT policies. So we need to see whether the learning environment supports audio narration. 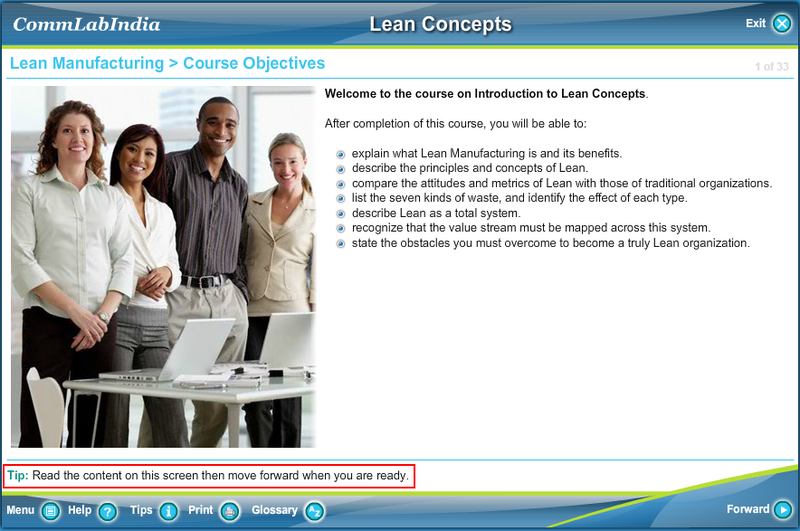 In a course on Lean Concepts, we didn’t add audio; instead, we provided a tip asking learners to read the onscreen text before proceeding. What should the tone of the narrator be, how should he or she sound? Based on our experience, we found that respondents from Europe and the Americas prefer an informal, friendly voice. Countries such as Egypt, Romania, India, and most Southeast Asian countries prefer an authoritative tone. For more information on such cultural preferences, you can download an interesting resource here. I hope you found this blog useful. What are the factors you consider before adding audio to your eLearning courses? We’d love to know. 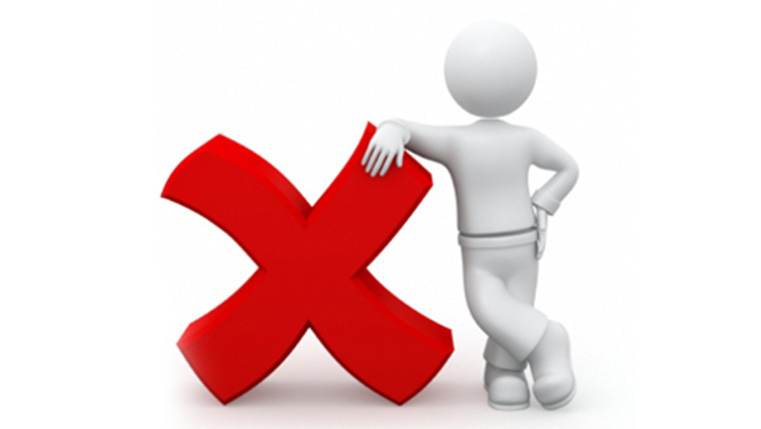 Killing your Learners with Learning Objective Bullets? 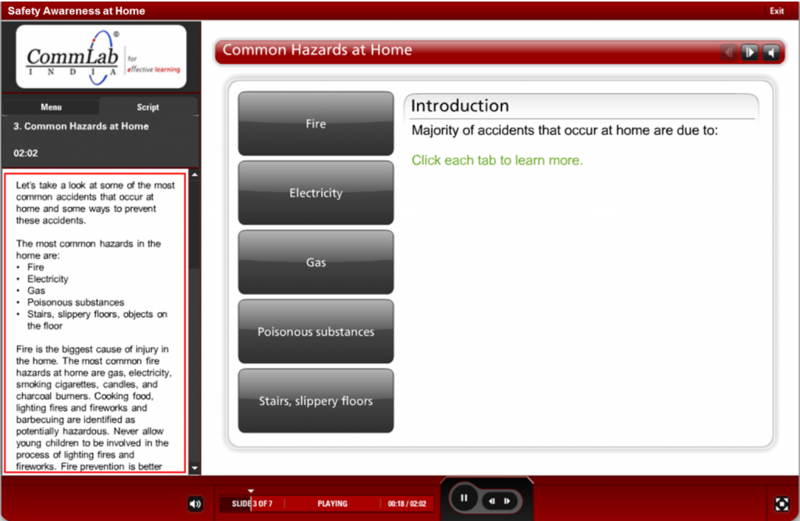 Articulate Storyline can Help!